Are you looking to make a difference? To really help people in need? And to be part of a great travel group? Join iCare on an unforgettable trip! We care, do you? This year, the STAR International Care committee will be organising another volunteering trip aimed at helping people in need. We hope to create an amazing adventure with new experiences, memories and friendships together with twenty enthusiastic students during a three-week adventure from Thursday the 25th of July till Friday the 16th of August. The destination for the STAR International Care 2019 trip will be Kenya, where we’ll help local volunteering organisation SIW at their Ahero Resource Centre, nearby Kisumu. For logistic reasons we will first fly to Uganda. Once we arrive at the project, the volunteering work will consist of a wide variety of activities. Firstly, we will be helping the local farmers with sustainable agriculture. For this purpose, there is a farm at the centre, which serves as a model for the local farmers. Secondly, we will be taking care of the orphans that stay at the centre. 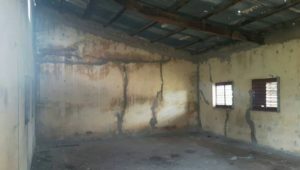 Lastly, we will be involved in renovating work at the centre, and possibly, building a library for the local community. There will also be plenty of time to learn more about the local community and to organize other events for them, such as a sports event. Next to the volunteering work and the free time at the centre, we will also be going on at least 2 amazing excursions. Firstly, we are going to visit the city of Kisumu and the most amazing (and biggest) lake of Africa: Lake Victoria. We are thereby going to visit the Kakamega Rain forest and explore its nature and exotic animals. For the real explorers there is also the option of going on a three-day safari trip. However, the relatively high price, although already discounted, requires us to ask a premium for this experience. The flight tickets, accommodation, meals and excursions activities are included in the price. We hope you are just as excited as we are for this amazing trip! If you want to learn more about Icare, you can read the iCare 2017 Report which took place in Senegal. For questions about this trip, you can contact us personally at any time. Even better would be to join us for drinks at the Smitse on Tuesday 12th of February (17:00). Please contact icare@rsmstar.nl for any further questions! Hi all! My name is Iris, I am 24 years old, premaster student IBA at RSM and this year’s Chair of iCare! Ever since I was little, I wanted to go abroad and give aid to people less fortunate than me. This committee was the perfect opportunity to finally do so! My expectations? A unique travel experience where great work is achieved, new cultures are experienced, and of course to have fun! Together with the team, I am convinced that we will do our best to make the most out of this opportunity and give something back to a community that really needs it. I am Koen, 20 years old and I am in my second year of International business. Last year I went with Icare to India and I had an amazing time! I met so many nice people, got to explore a completely different country and learned about an entirely different culture. Doing volunteering work was very rewarding and especially the project about women empowerment made me realize how different and developed western culture is on some topics. This great trip made me realize I want to be part of and create an even more amazing trip this year as well, which is why I became the program of this year’s iCare committee. Hi! My name is Timur and I’ll be this year’s marketeer. I am eighteen years old and a first year BA student. It is my job to keep you guys updated on the iCare trip, including the information drinks, the recruitment and the details of the trips itself. I am very enthusiastic about the trip. Together with the rest of the iCare committee we will ensure that we are going on a never-to-be-forgotten trip, where we will try to make a difference while having a good time. Hopefully I’ll see you guys at the information drinks! Hi! My name is Sanne, 20 years old and commercial of this year’s iCare trip. Together with the fundraiser Kebron we are in charge of collecting as much funds as possible. I am looking forward to this year, especially working towards an unforgettable trip for us and our fellow students. We will help communities, learn about their culture and try to change their lives but we will also have the best experience together and make new friends. 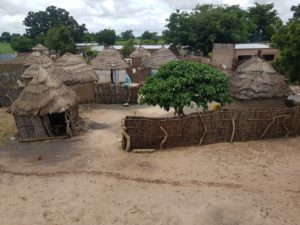 Here is a little – probably slightly too long – summary of the things this year’s iCare team encountered, experienced and helped with over our three weeks in Senegal. Think along the lines of renovating a school, teaching and playing with the local children, some sightseeing, learning awesome dance moves and traveling with all kinds of transport. If you’re lucky, you’ll find some inside information and jokes scattered along the way. Or at the very least it will provide you with a better view of the colourful, friendly and warm culture and country. Officially this journey started at Schiphol, 3am in the morning, but let’s fast forward two flights to our arrival at the Dakar Airport. As the twenty of us descended the stairs of the plane, we were hit with the expected high temperature and vastly different landscape – something we would spend the first few days acclimatising too. Once having left the airport, we were met by our fellow companions for the coming three weeks: the ever-so-helpful SORA crew and a huge green bus. 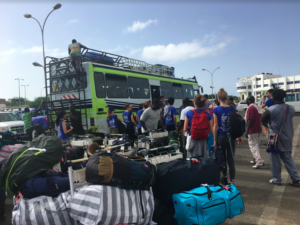 We all loaded onto the bus – whose doors, we soon found out, don’t close – and headed towards our first destination, Saly. The first two days of our trip were spent here. Most of our time was invested in talking and playing games – football, memory, card games – with the SORA crew, something that would continue throughout our stay. Soon all the introductions were made and the first words in Wolof were learned. Time was spent at the beach allowing us (the iCare group) to get to know each other a bit better before the busy days that were to follow. The Vivre Ensemble Orphanage in M’bour was our first stop, where we donated five bags – filled with clothes and toys – for the children. While receiving a tour of the orphanage, we got to meet and play with children of all ages, whose parents or family couldn’t take care of them or were no longer around. Several dusty roads later we arrived at the second biggest fish harbour in Senegal. Boats were coming in and leaving the beach in order to catch as much fish as possible. You only had to turn around to find the first person selling the freshly caught fish or to find someone else carrying 60kg – or even better, a swordfish – on their head! On an early (6am African time) morning, our bags, mattresses, tables and chairs were loaded onto the bus, ready for our journey to Daga-Youndoum Bambara. A bus trip and a breakfast-with-a-view later, we arrived at a small village in the Koalack district. From here, our transport changed to one car and three horse-and-carts, on which we loaded all our baggage and eventually ourselves. Several return trips, later we arrived in Daga-Youndoum Bambara! 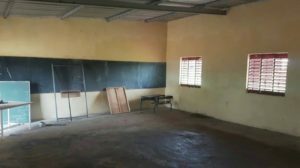 Renovating the school was our first and main task to complete. We started off by sanding and painting the five classrooms and the library. Several layers of yellow and brown paint later, some of us went on to help fix the many holes in the uneven classroom floors, while others fixed the blackboards and cleaned the classrooms, doors and windows. Once this was completed, we were given a new puzzle: fixing and painting the many school benches. By the end of our stay the school was completely renovated and ready for the new school year! On one of our lasts mornings in Daga-Youndoum Bambara, we were also able to help out the local clinic with our (now perfected) painting skills. Here we painted the walls and benches a bright shade of blue. Every other afternoon we collected our many pens, notebooks and chalk before heading towards the school. Bursting with energy, we would start the children off by singing the classic ‘head, shoulders, knees and toes’ song before getting to the exercises of the day. Usually maths was on the agenda: teaching the youngest how to count and write till ten, while others were making sums that added up to 100. To switch it up, we also taught them some English and taught the older children some geography and anatomy. On our last weekend there we also organized a fun games day with all the children! With our limited French and Wolof, we explained several of our childhood games to them. The children really enjoyed themselves, and so did we, while running around the school grounds playing these new games with our new friends. On the last day of our stay in Daga-Youndoum Bambara, we were able to give some more to the local community through handing out the many bags of toys and clothes we still had. After having donated several games, teaching materials and notebooks to the school, we were able to give all the locals that attended (children to adults) some things: a note book and pen, a clothing item and something extra (think along the lines of toys, bags, books, and other supplies). In the end, this still left us with quite some clothes and other stuff which we gave to the Chef du Village, who would then be able to divide them up among the village members. Now you may ask yourself: what does iCare do when they are not volunteering? Let us tell you! For starters, (Senegalese) card games, Koehandelen and Weerwolven became iCare and SORA’s new hobby! After the volunteering of the day was over, some of us played football with the local team, or we would have some Senegalese dance or singing lessons. These would later come in handy during Saturday dance nights and for our final performance on our last night in Senegal. Often the laundry needed to be done, and on other days we would explore the village or take a trip to Daga Plaza (read: the local shop the size of a garden hutch). And last but not least, the last few days in Senegal were also spent doing some sight-seeing. On our travel day back to Saly we were lucky enough to do the following: have breakfast after a boat ride through the mangroves, meet the bats living inside the second biggest/oldest baobab of West Africa, and get a tour around the Ile aux Coquillage (island of shells). Once back in Saly, we would make day trips from here and also a night out to Club King. We visited Ile de Gorée, a beautiful and colourful island surrounded with clear blue water. Here we learned about its slave history in the House of Slaves and were able to buy some souvenirs for our friends and family. On our way back we also passed by the local markets of Dakar for some more souvenir shopping and a lot of djembe-keychain buying. Lac Rose was also visited. After crossing this, slightly-less-but-still-slightly-pink lake (due to the time of the year) in some colourfully painted boats, we walked across some of the Dakar Rally’s tracks towards the beach. Our last stop was at another island, this time Ile de Ngor. In order to get there, we all packed into a boat with our beach bags and stylish lifejackets. Along with another 40-60 people we crossed the small bit of ocean to reach the beach of Ile de Ngor. 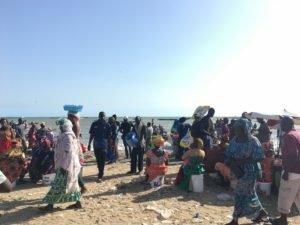 Here we were able to go for a swim and explore the island before heading back for dinner at a restaurant and eventually the airport – where we found our first sources of internet since landing in Senegal. Earlier on our last day, and later also at the airport, we were able to say goodbye and thank you to the amazing SORA crew that was always ready for us and willing to help throughout our stay. Speeches filled with thank you’s and we’ll miss you’s where shared between all the hugs, singing the song we learned and a final group Photo! We had come to the end of our three-week adventure and left with a fulfilled feeling and too many memories and experienced to easily sum up. 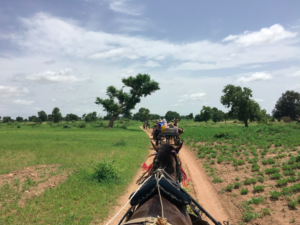 We were lucky enough to have experienced so much and get in touch with the local community and culture, while also being able to help them and make a lasting change. Exploring some of the countries highlights gave us a well-rounded view of the beauty of this country, its culture and its people. Once again thank you to SORA for helping us along this journey and introducing us to Senegal! With full of expectations as well as uncertainties, I started off my journey to Senegal on 30th July 2017, together with 19 other adventure explorers, with whom I eventually shared an exclusive memory. It was the first time for me to travel with a group for 3 weeks, not even to mention that the destination was somewhere I could not use network. However, the initiative to volunteer was the strongest motivation pushing me forward. The iCare committee could not be more helpful especially when the group members did not know each other so well. They did not only make the volunteering trip happen, but made it safe, successful and fascinating. In an era of Internet, those 20 days without network made it possible for me to observe, to think, and to interact. Life is simple, fundamentally. We made jokes during meals. We also discussed economy, politics and literature. Offering help is iCare’s initiative. During the days in Daga Youndoum, the village where we stayed for two weeks, we renovated the classrooms by painting the walls and fixing the tables. Besides, we gave various classes covering maths, geography, language and so on. The content of those classes was not the core, whereas leading a way for the children to find out that knowledge is fun, world is diverse, is more important. I have to say that the trip was not easy in the beginning, given that Senegal is less developed with limited information online. An exhaustive list of items needed to be prepared. However, it turned out that everything went smoothly with the help of the committee and local crew. 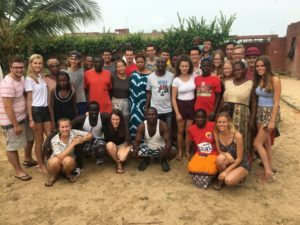 Besides friendship, what makes the trip extraordinary is that I could better understand Africa and the life philosophy embedded in Senegalese people, thus better understand the world and its diversity. There was too much fun and memories to write down. While the “pool party” we had on the rooftop could to some extent summarize the starry night we enjoyed, the deep talks we had, the challenges we overcame and the laughter we had. This year’s lottery has been drawn. Check with the participants to see if you’ve won! A big thank you to our sponsors, who gave us the opportunity to collect money for a good cause. Join iCare 2019 to Kenya!